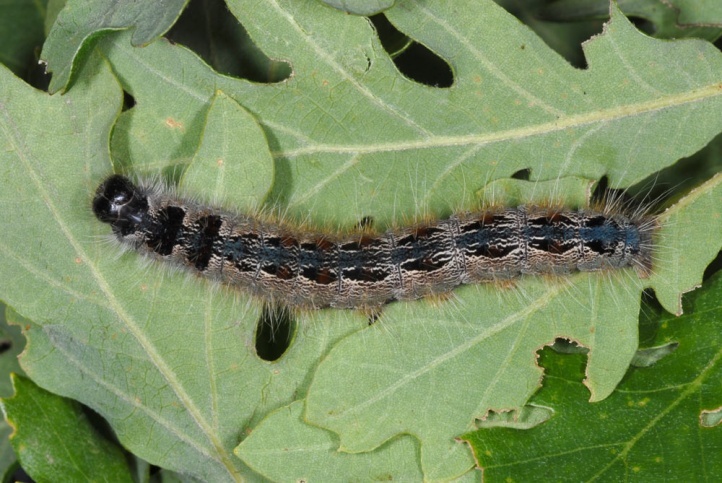 The species lives on oak (Quercus). 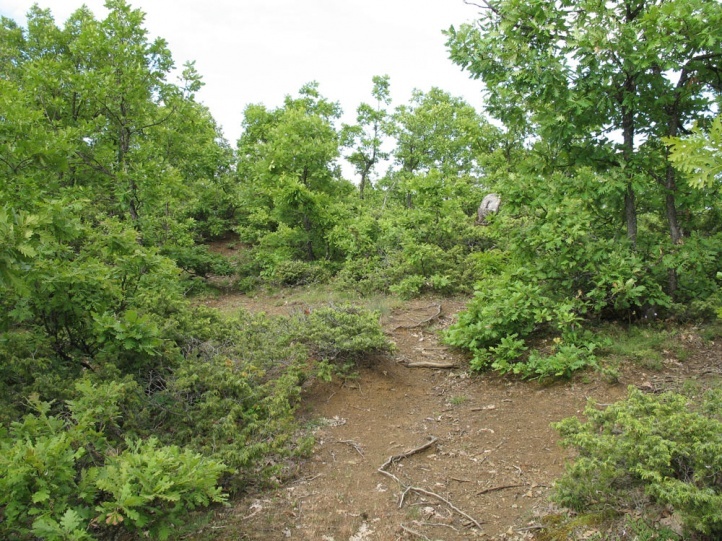 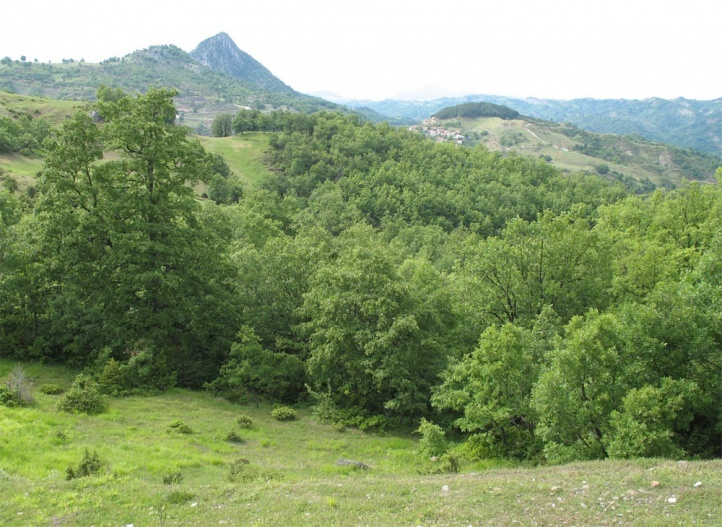 The habitat include especially warm, clear, sunny and oak-rich forests and oak-rich, dry slopes. 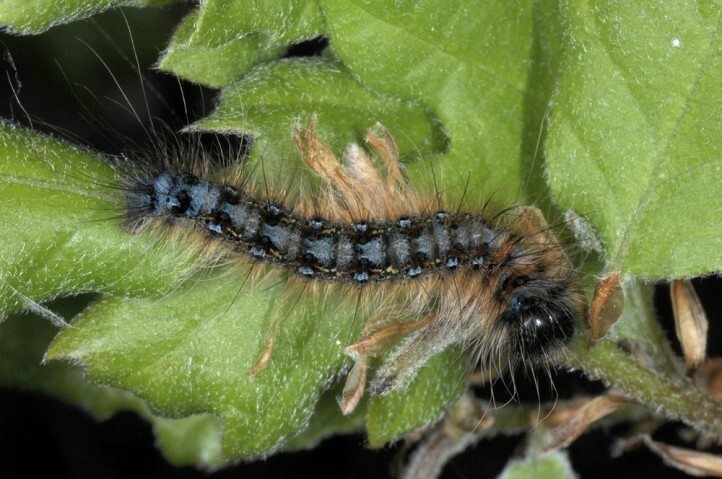 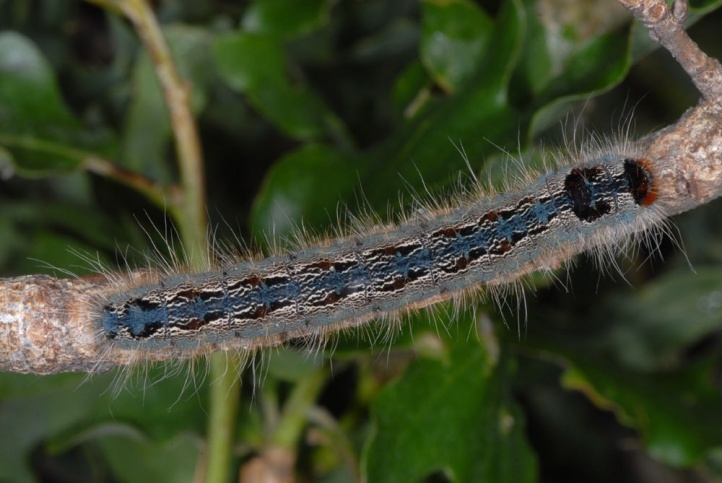 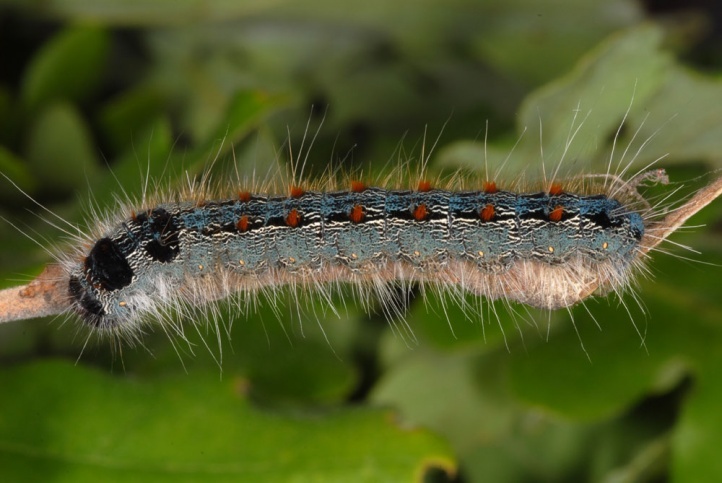 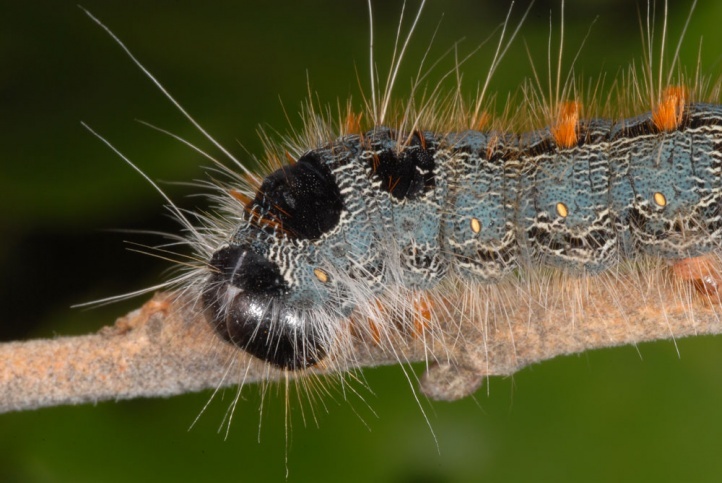 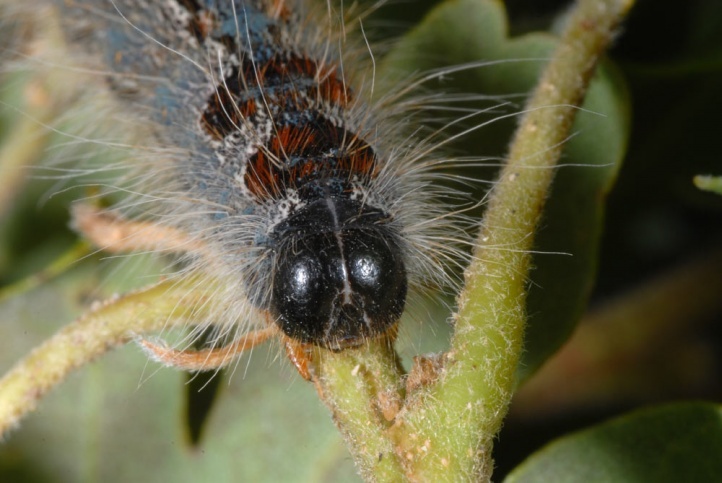 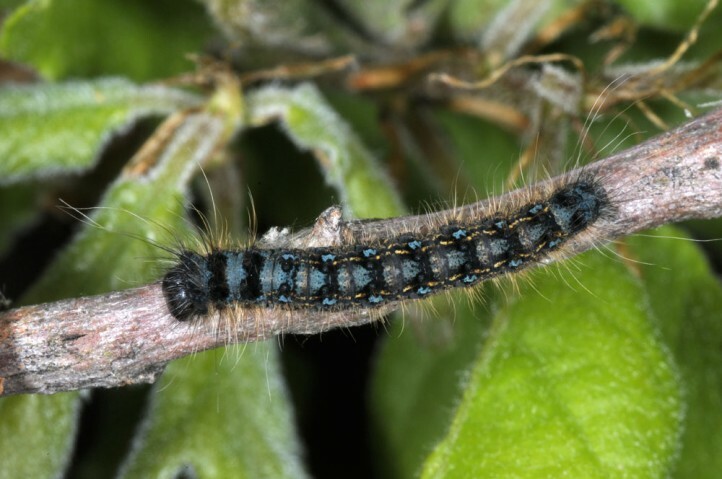 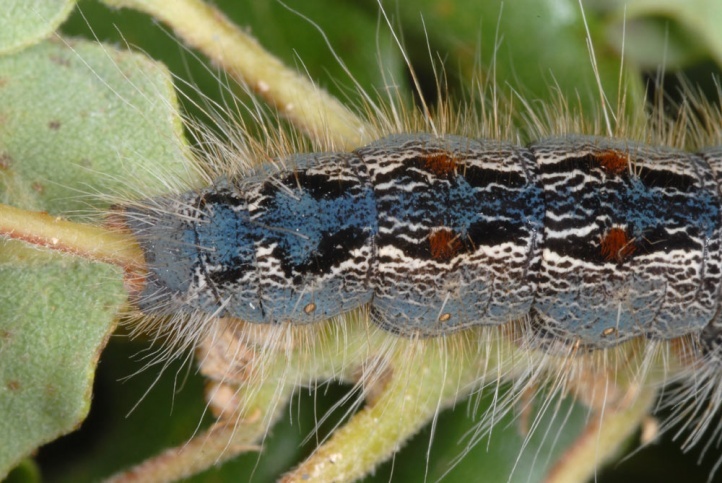 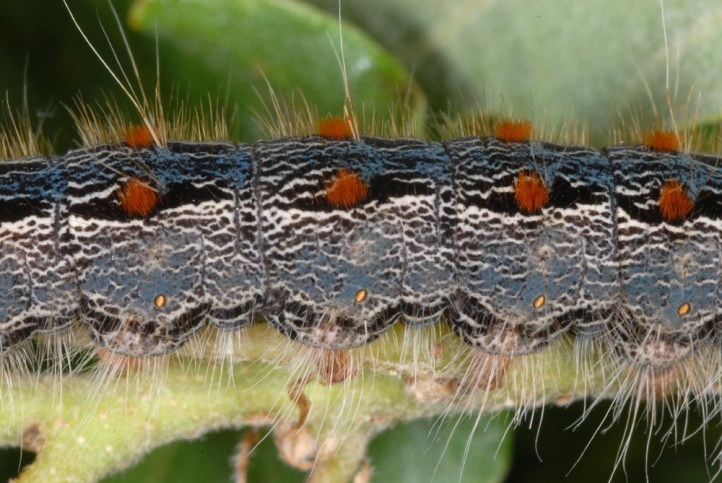 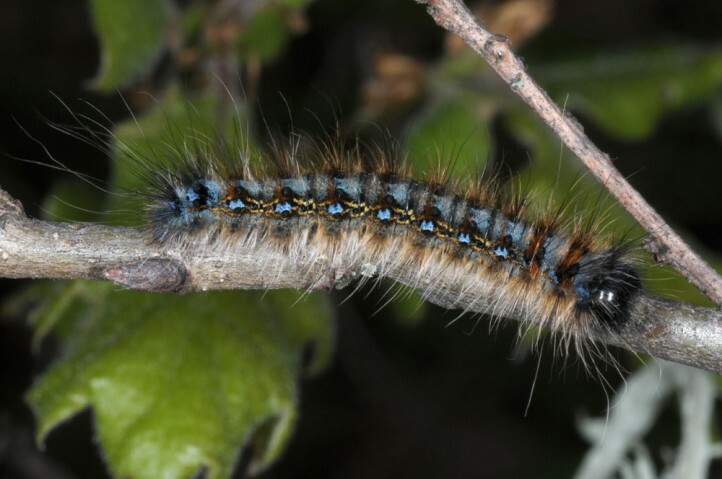 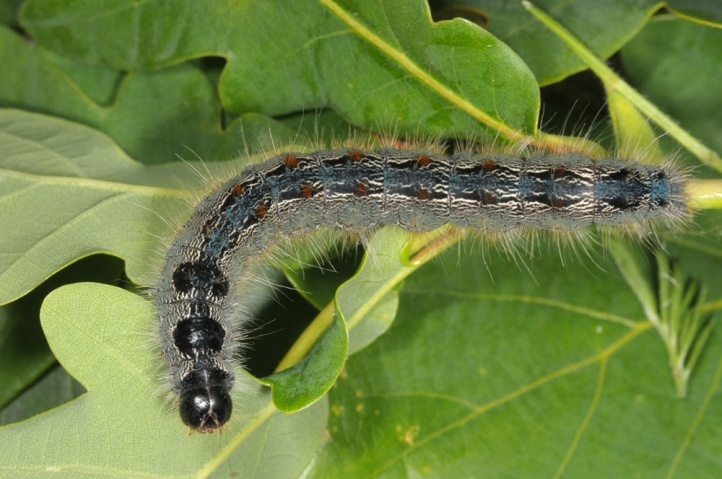 In the northern Greek Pindos, I met Eriogaster rimicola at lower altitudes as a caterpillar together with those of Perisomena caecigena in a complex of oak woods and sheep pastures. 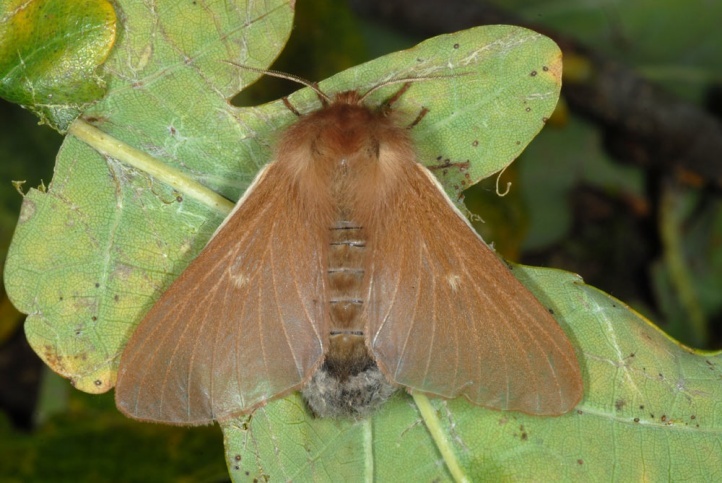 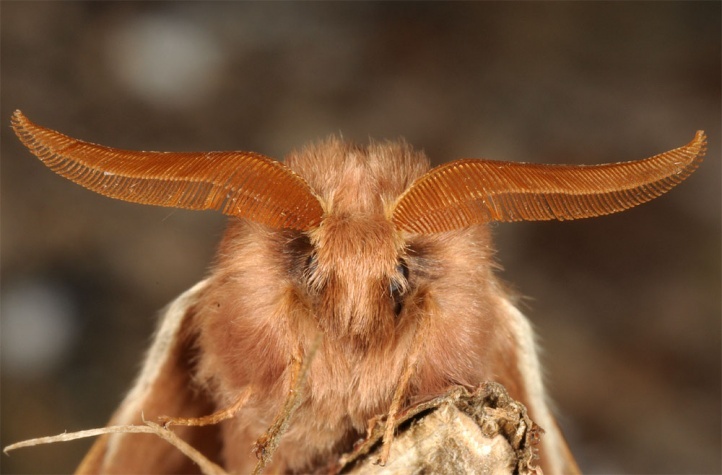 The moths fly in the autumn (September to early November). 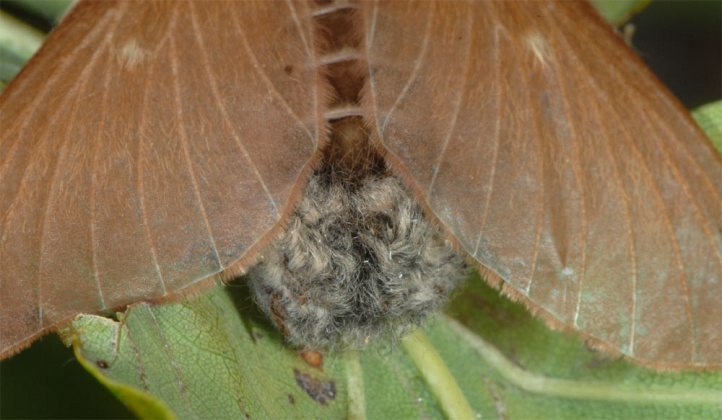 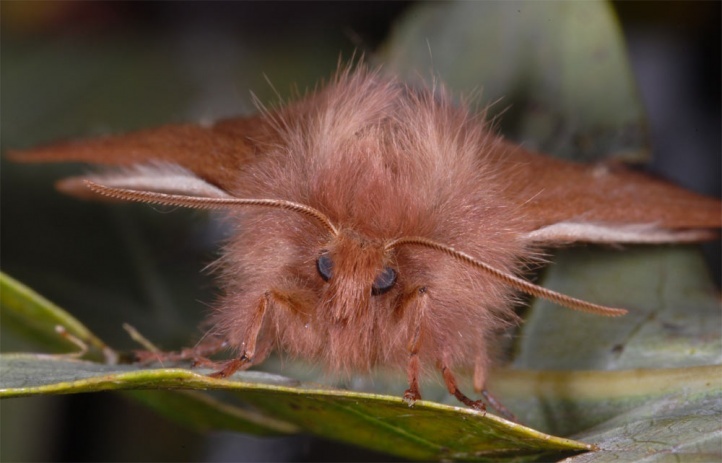 The eggs overwinter in batches on tree branches covered with wool of the female abdomen. 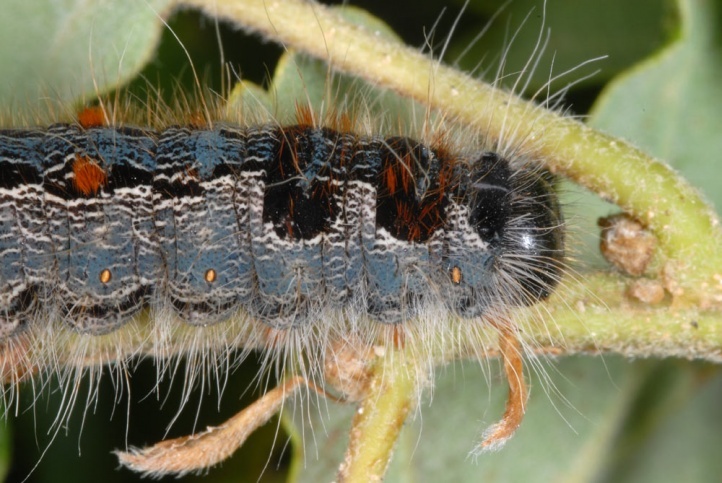 The caterpillar lives from April to early or mid-June. 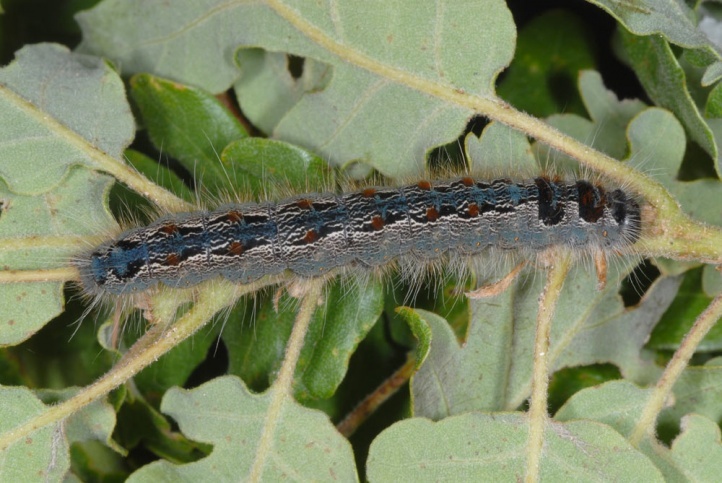 I met in the Pindos mature larvae around 23 May 2010 and in mid-May 2011. 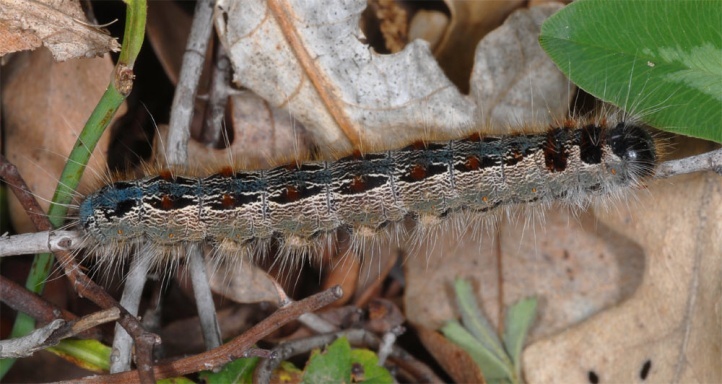 Sometimes they sat at medium-high branches of oak bushes, partly close to the ground on branches and stems at low scrub oak. 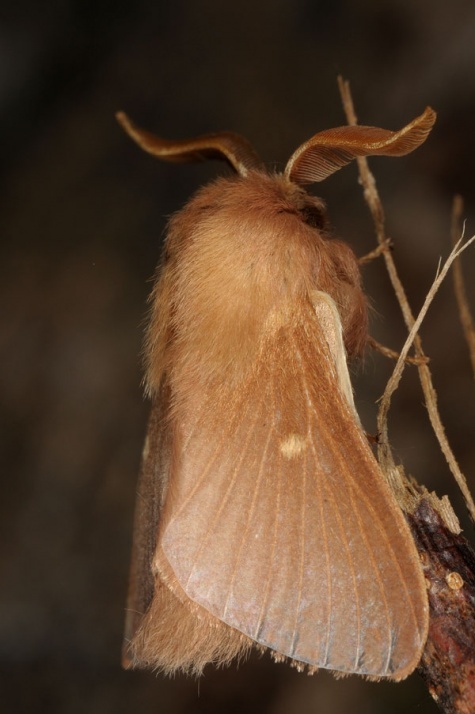 The cocoons give the moths partly in the first autumn, but in part only after several winters. 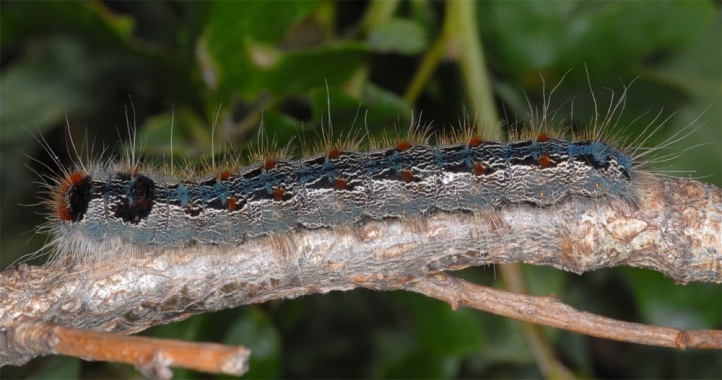 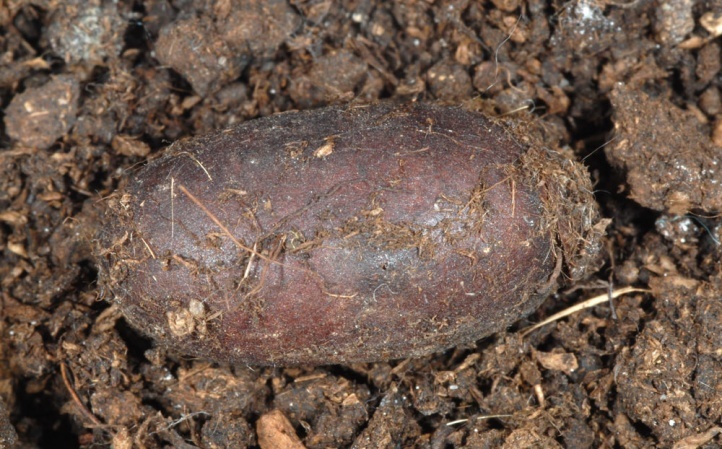 Eriogaster rimicola is very heavily threatened in many parts of its range by habitat loss (conversion of warm, rich oak forests in settlement areas, agricultural land or intensive timberland, forest fires). 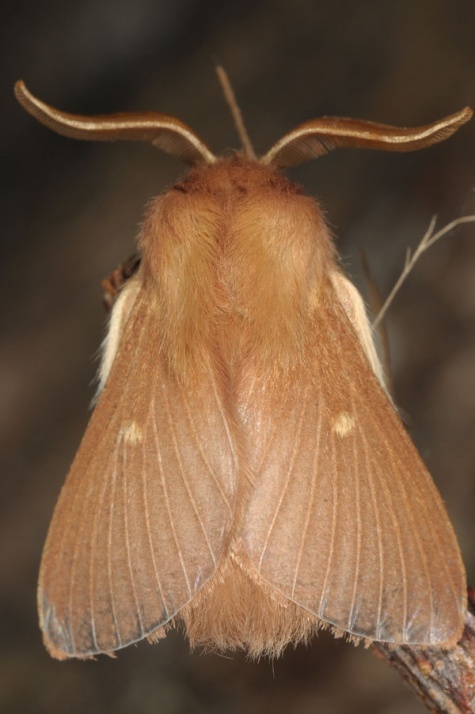 In Central Europe Eriogaster rimicola has been largely eradicated. 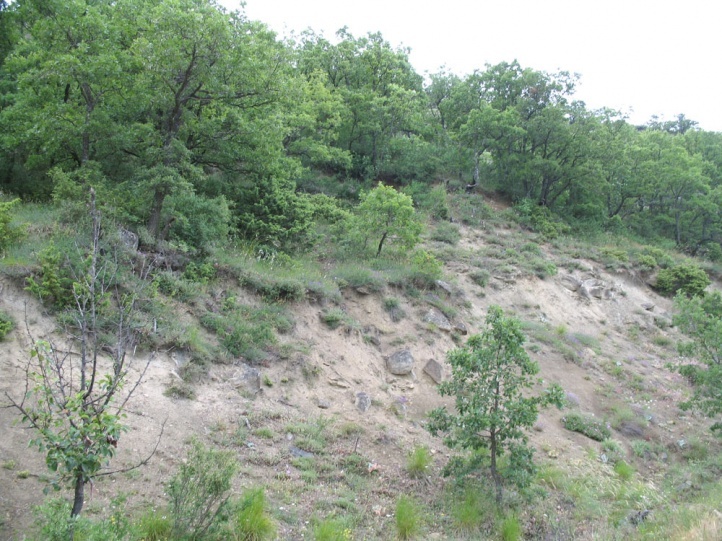 There are the last residues in the Vienna area, near Geneva, and locally at the southern foothills of the Alps. 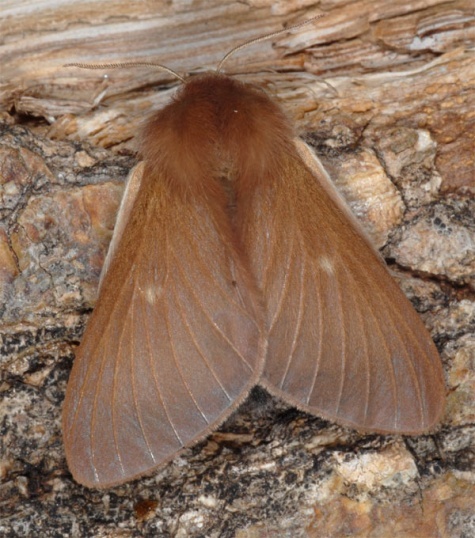 Eriogaster rimicola occurs from Northern Spain across south and (especially formerly) Central Europe to the Black Sea (mainly Turkey).